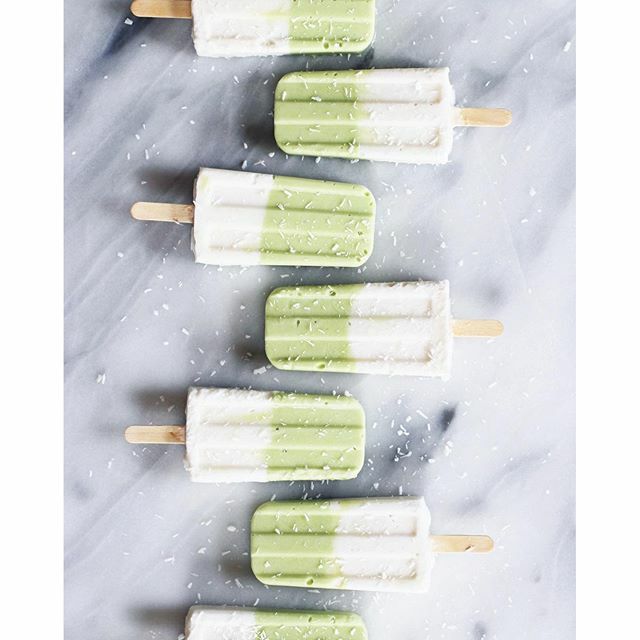 Beat the heat this week with 6 easy weeknight dinners plus a tropical ice pop! 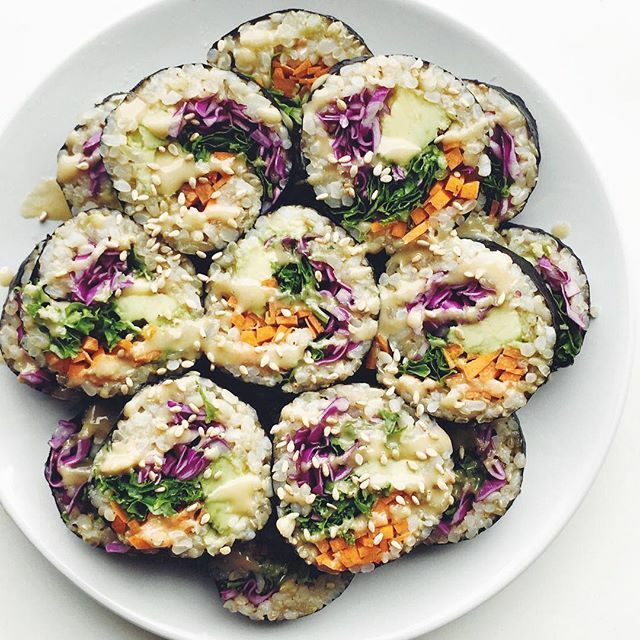 From cauliflower rice to homemade sushi, we're breaking out some of our summertime favorites for this week. Sign up for our Weekly Meal Planner Email Newsletter here to have 6 great dinner recipes (along with a full shopping list) delivered to your inbox every Sunday! 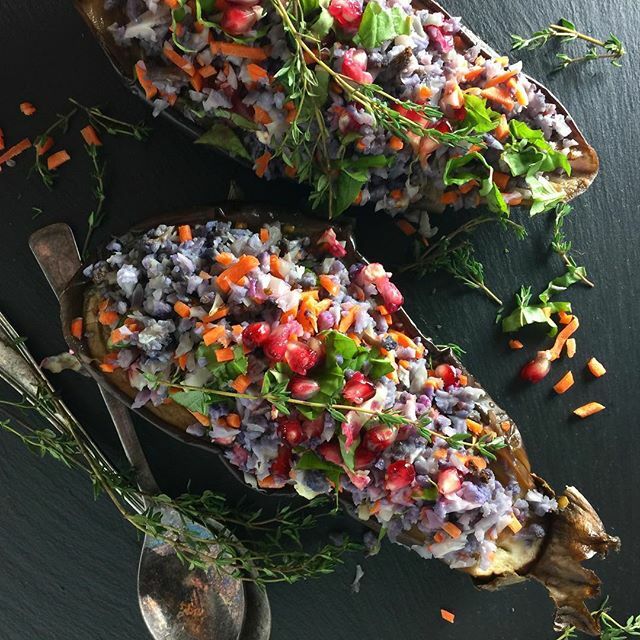 If you like, you can also make this with your favorite grain instead of cauliflower rice, but we love this veggie-heavy eggplant boat dinner, if we're being completely honest. Feedfeed Tip Trying to save some time? You can always opt to buy riced cauliflower. 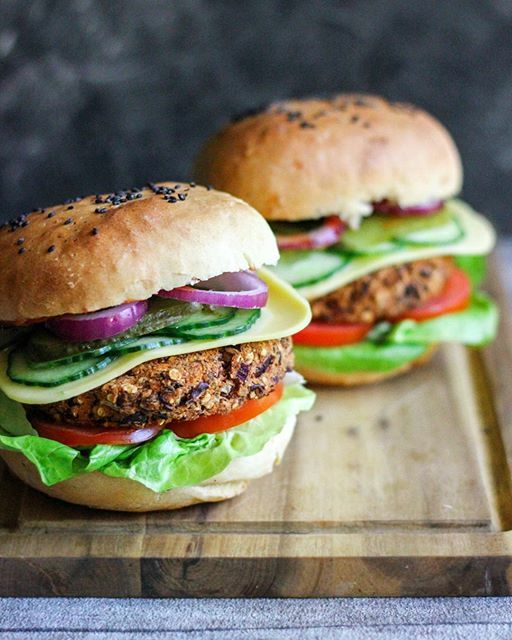 Not all veggie burgers are created equally, and these kidney bean patties are in a league of their own. Use your favorite bean instead if you want to mix it up. Feedfeed Tip The oats add a great, fibrous texture to the patties while helping to hold them together, but you could also use a nut flour or whole wheat flour to help bind the patties, as well. Since your local farmers' market is probably bursting with all of the fresh greens, it makes sense to have a hearty salad for dinner. The figs add a sweetness that balances out the rest of this filling dinner. 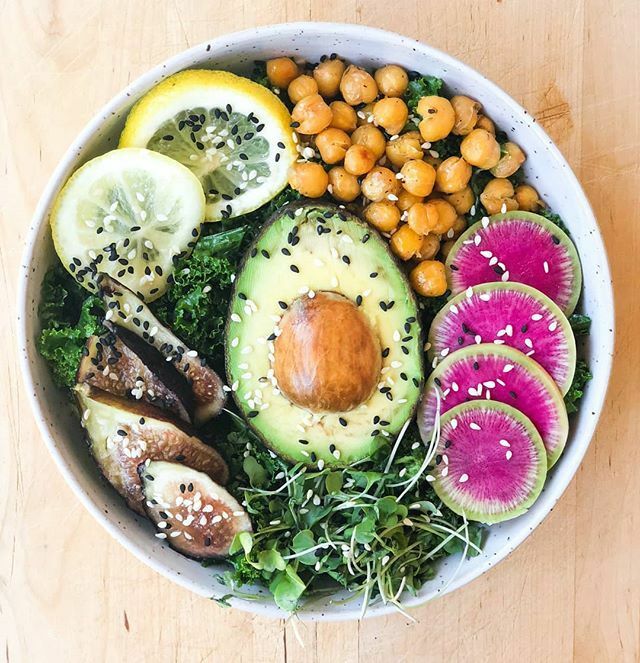 Feedfeed Tip If you prefer, you can always skip roasting the chickpeas, and simply drain and rinse them in order to enjoy them cold. Great news–you don't have to order in to have an ultra-tasty sushi dinner. This tahini-tamari sauce is mind-blowingly delicious, to boot. Feedfeed Tip Can't find seaweed? Head to your local Asian grocer and they're sure to have what you need. If you've got a handful of heirloom tomatoes, you can easily substitute them for the canned tomatoes. 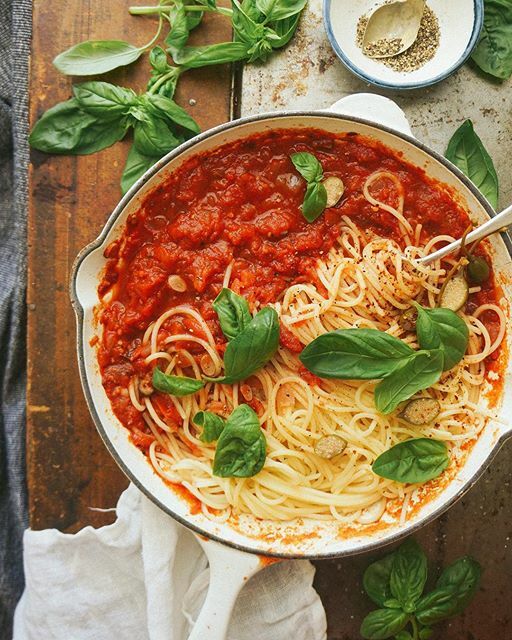 They'll be plenty juicy for this rich tomato sauce. 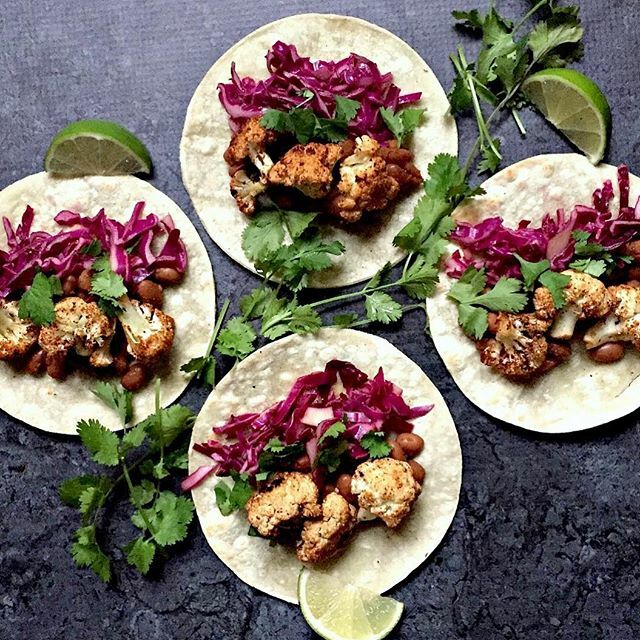 Slide into the weekend with a fun taco night. This roasted cauliflower is packed with rich flavor, which is perfectly balanced out by the fresh, light cabbage slaw. You're just going to have to take our word that these ice pops taste like vacation. Who knew avocado could provide such a creamy texture?